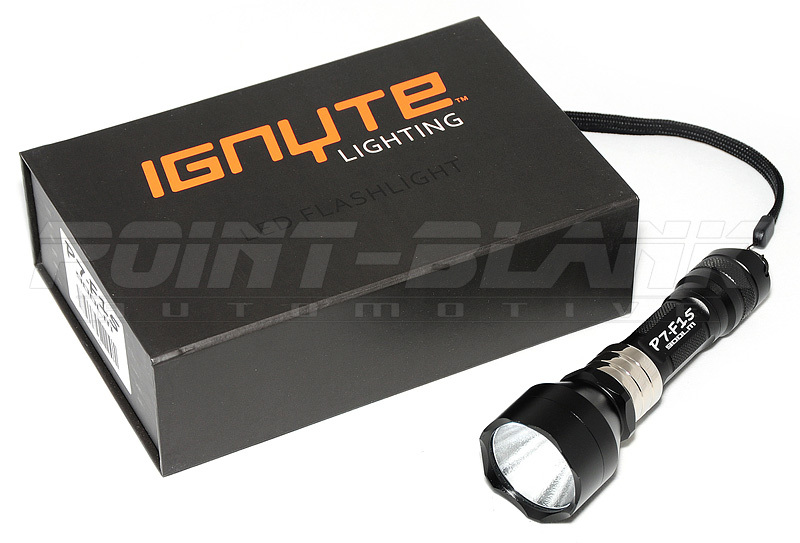 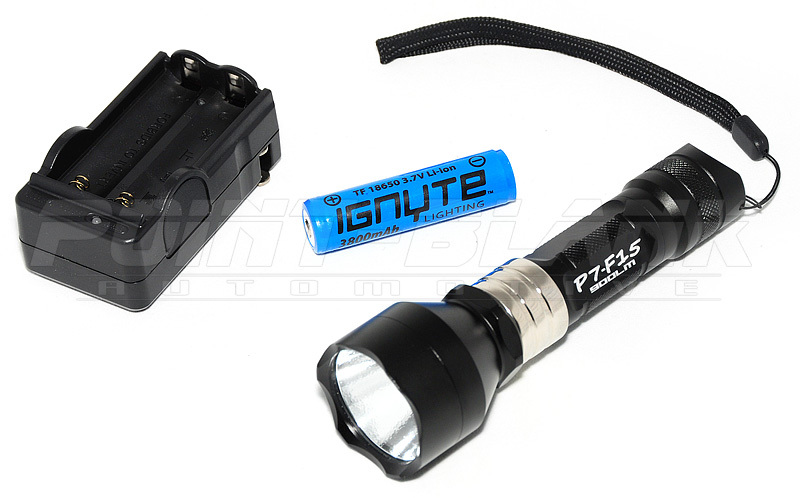 The Ignyte Lighting P7-F15 LED torch features a huge 900lm of light output from a very compact design. 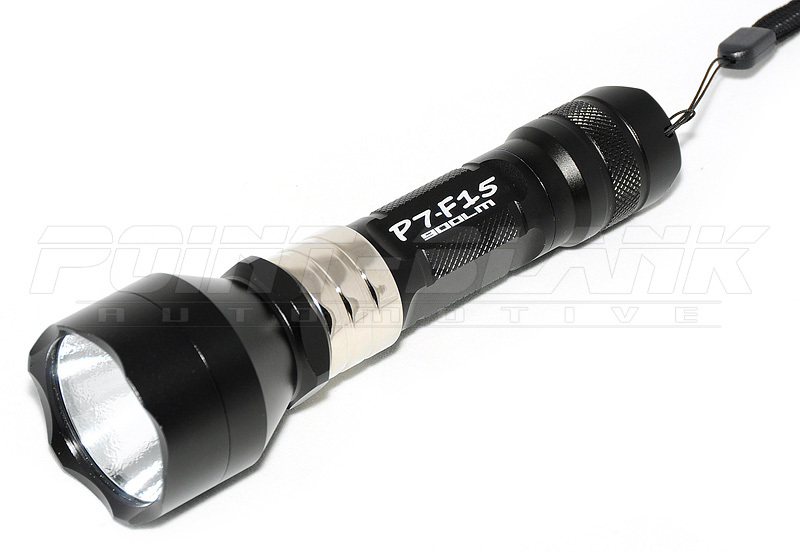 The P7-F15 is CNC machined from super tough 6061-T6 aviation grade aluminium alloy, and is completely waterproof. 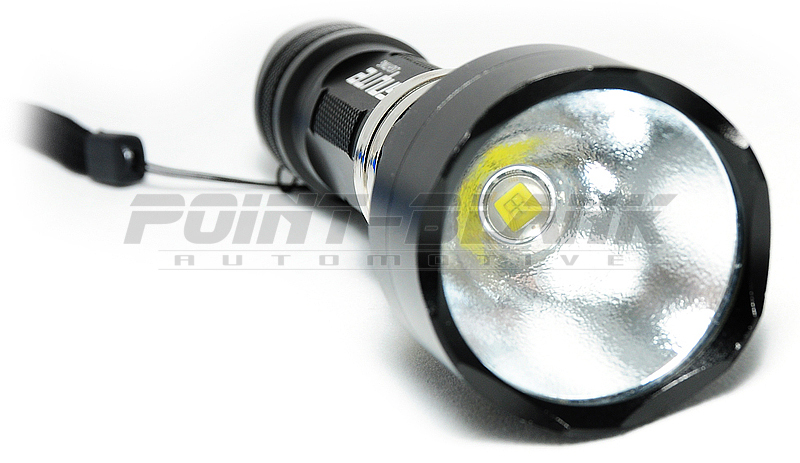 The light source is a single CREE SSC-P7 LED which has a rated lifespan of over 50,000 hours. 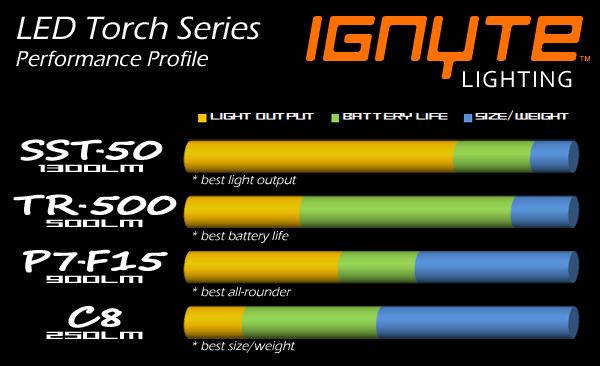 The torch has selectable 3-mode high/low/strobe operation and is powered by a single 18650 Li-ion battery.